It is hard to describe how much of an impact a trip to New Zealand will have on your life. From a life-changing gap year to an eye opening road trip, you will leave New Zealand changed forever. Some keep those souvenirs locked in their brain, others write daily in their travel diary, but many log all their adventures and travel tips in their blog. We have compiled 10 awesome blogs from travellers who came to New Zealand for you to check out. Be inspired by their stories, learn from their tips, or copy their itinerary. There is a lot to learn from reading other traveller’s stories. To better introduce those travellers, we’ve asked them: “What was your best New Zealand experience?” Check out their answers below along with a link to the New Zealand section of their blog. + Don’t miss the bonus entry at the bottom of this article. 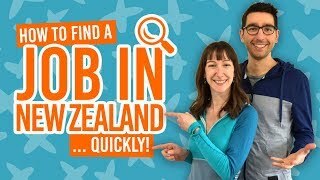 Travel video blogs don’t come more epic than “New Zealand’s Biggest Gap Year” where Robin and Laura from our very own BackpackerGuide.NZ hit the road for 365 days doing 365 activities in New Zealand! Subscribe to their adventures on YouTube and watch the trailer below! Hannah has 26 posts about New Zealand. Find more about her trip in New Zealand at gettingstamped.com. “New Zealand is without a doubt the most beautiful country I have ever been! It just amazing, the country has it all. Mountains. Volcanos. Lakes (there are so many beautiful lakes in New Zealand!). Sea. Forest. Waterfalls. Beaches. Hills. Cliffs. You name it and it’s there. Besides the incredible scenery the people of New Zealand are so very welcoming and friendly. If you are having a coffee, they’ll have a chat with you and proudly tell you about their amazing country and awesome places you should visit. Which usually are the kind of places you won’t find in the Lonely Planet, so it’s worth keeping your ears open. If you are lost or so much appear to need anything, they’ll help you out. “Chatting to my Dad on the phone last week summed up New Zealand for me. It’s where I grew up before leaving to explore the world a few years ago. We got talking about the friendliness of Kiwis to strangers which I still experience on my brief returns. When you’re walking down the street you acknowledge most people you walk past. That may mean a verbal hello, a small wave, smile, a simple head nod or a combination of them all. This is a habit that has carried on with people regularly saying it’s cool that I’m always saying hello to randoms in the street (it’s interesting how different cultures react to this around the world). Before moving to New Zealand, I knew nothing about this country. I booked a flight to Queenstown and planned to spend a couple months in the Adventure Capital of the World before moving north as winter set in. Two months turned to seven, though, as I filled my days with bungy jumps, luging, snowboarding and a ride on the TSS Earnslaw. I left the city that captured my heart for two weeks on a whirlwind road trip from Queenstown to Auckland. Fueled by pineapple lumps and chocolate fish, I heli-hiked Fox Glacier, was amazed by the unreal blue of the Hokitika Gorge, and got goosebumps watching a Haka in Rotorua. “One does not simply walk into Mordor,” but I hiked the Tongariro Crossing, and that’s about as close as you can get. I searched for Bilbo Baggins at Hobbiton and practiced speaking dolphin in Kaikoura. New Zealand is a place where my adventure-seeking heart found a home, and I’ll forever be grateful for the time I lived in the land of kiwi birds and Kiwi people. “Winter is a wonderful time to visit NZ. There’s a certain serene beauty about winter in the South Island of New Zealand. Not only is winter the best time of the year to spend a month celebrating my birthday it also offers the adventurer a whole new arena to play within. Most people assume that the only reason to go to New Zealand in the winter is for snow sports and post snow sport drinking. We recently discovered the pleasure of road tripping during winter. The cool morning mist that sits across the paddocks perfectly frame the magnificent mountains. Making it the perfect backdrop to your morning coffee from the back of the campervan. The days turn into bluebird mountains of pure clarity, allowing you to see for miles in every direction as you drive to the next destination. There’s comfort food galore at any café you stop by. So no more diet of L&P and marshmallow fish! Though these are staple NZ road trip road snacks. Travelling in New Zealand was perfect for us, we love the outdoors and we love adventure – and that is what New Zealand is all about! The outdoorsy things to do in New Zealand are literally endless. There is something special about being on the top of a mountain or swimming under a waterfall that can’t be matched in any city setting. New Zealand is so diverse in terms of the landscape that one day we were in the snow and the next we were enjoying a sunset on the beach. The scenery is absolutely unimaginable until you see it with your own eyes. Some of our favourite memories of New Zealand include watching the sunset at Milford Sound, learning to snowboard, partying in Queenstown, and hiking everywhere! If you are a nature-lover like we are, then New Zealand is sure to impress. Bailey & Dan have 23 posts about New Zealand. Find out more about their trip at destinationlesstravel.com. “New Zealand blew our freaking minds! Right out of the plane we were stunned by the epic scale of the country. It did not take us long to know that this was the place for us. So we settled here and kept the adventure going for much longer than planned. 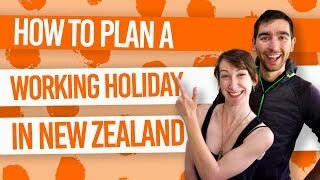 This adventure turned into the very guide that you are reading right now, BackpackerGuide.NZ, New Zealand’s biggest guide for backpackers. Robin & Laura have 365 posts about New Zealand. Find more about our trip in New Zealand at BackpackerGuide.NZ/Blog. More inspiration for your New Zealand trip! Check out these articles to get you pumped about a gap year in New Zealand.